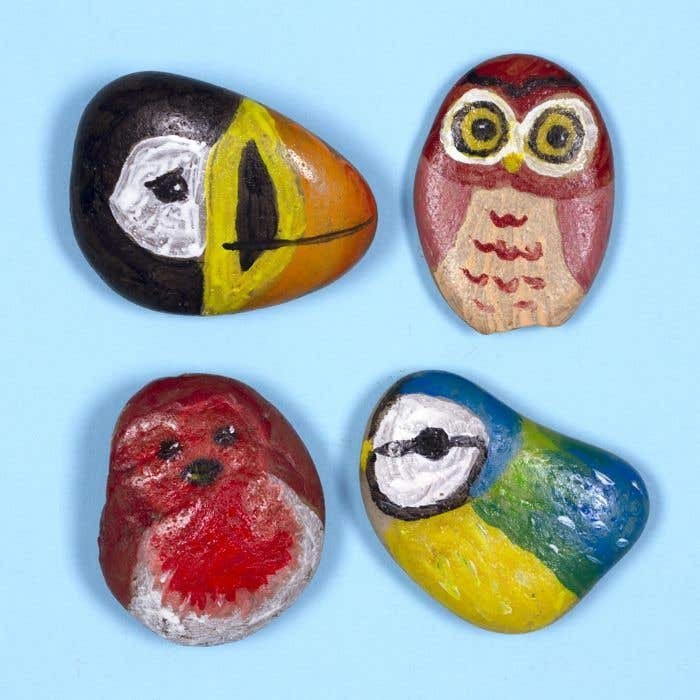 These cute painted rock chicks are a great way for children to learn about the different species of bird. They also make the perfect gift for a bird lover. To create the Toucan - take a rock from the pack, preferably one that is larger at one side than the other. 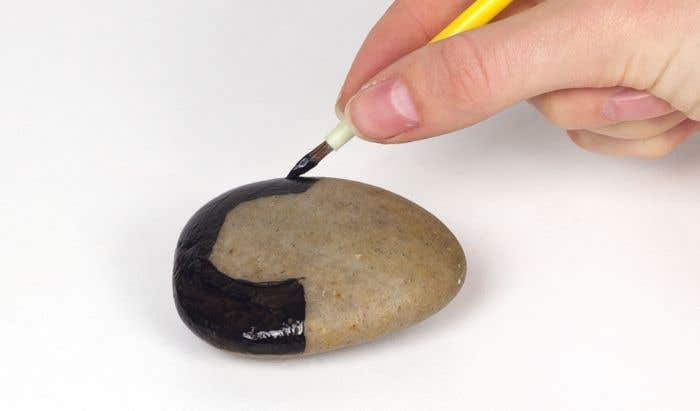 Paint the wider half of the rock with black paint, then leave to dry. Then paint the middle part of the black section with white paint. 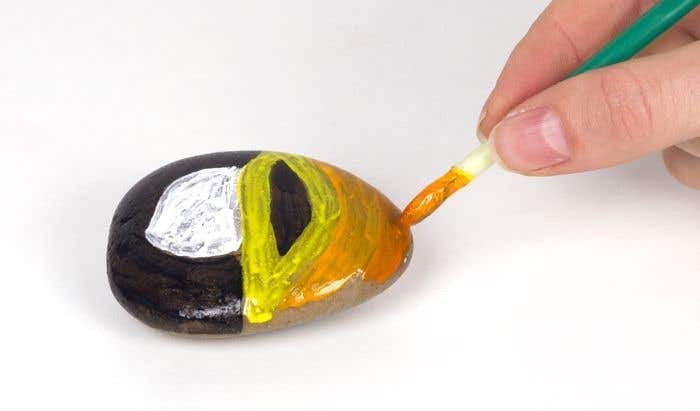 Paint the other half of the stone with yellow paint and leave to dry. Then add a coat of orange paint on top of the tip of the stone, where the end of the beak will be. Paint a stripe of black down the yellow section of the beak, then add a smile line. 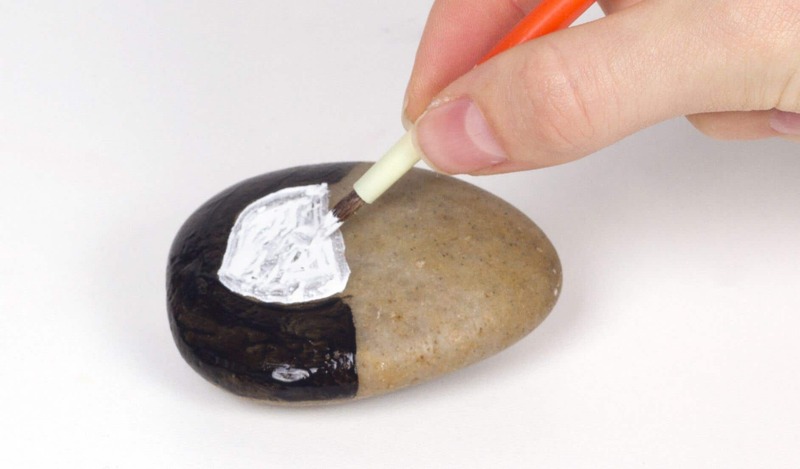 Use black paint to draw an eye onto the white section of the stone. To create the other birds – choose stones that have a shape similar to the shape of the bird of your choice, and paint it in the natural colours and patterns of that bird. Choose the shape of the rock carefully so that it fits the shape of the bird.